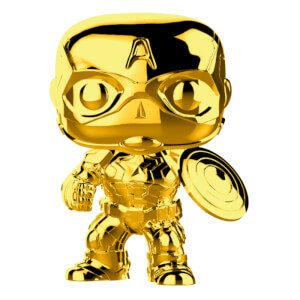 Celebrate 10 years of Marvel Studios films with ten gold chrome Marvel Pop! Figures, featuring some of the most iconic heroes and villains from the first decade of the Marvel Cinematic Universe. 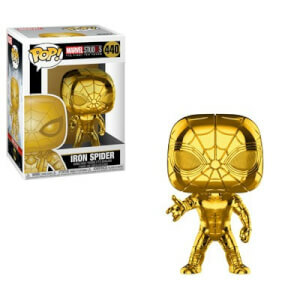 Standing about 3 3/4-inches tall, this MS 10 - Iron Man Gold Chrome Pop! Vinyl figure is packaged in a window display box and stands approx. 10 cm tall. Due to worldwide demand for this item, we are limiting this Pop! to 3 per customer.